This is the OFFICIAL pack created by X33N through the technical process of downloading mods and installing them in the mods folder. 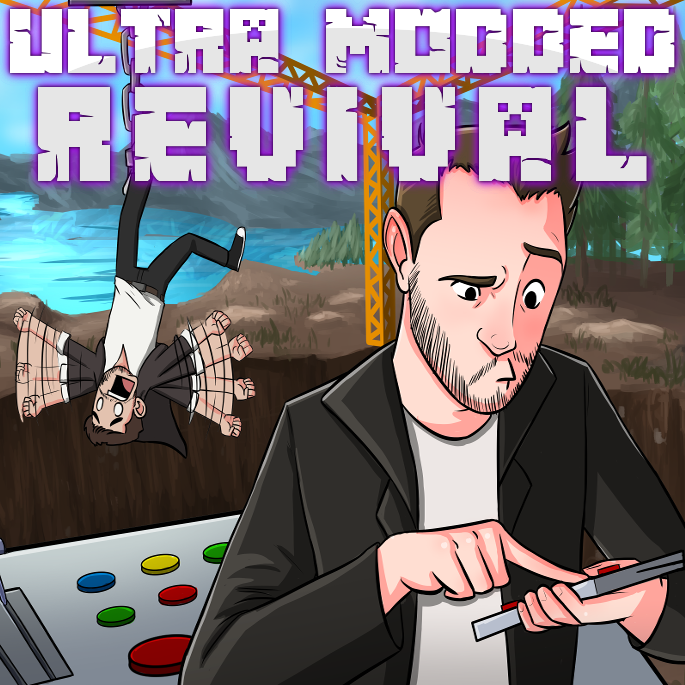 Put yourself in the adventure with CaptainSparklez and X33N as they dive back into the Ultra Modded worlds through their YouTube series "Ultra Modded Revival." This pack is built as a throw-back to the YouTube series "Ultra Modded Survival" and features that classic early modded feel centered around OreSpawn, with BuildCraft and Thermal Expansion as the primary tech addons. Inventory Management isn't forgotten thanks to Applied Energistics - It's a one-of-a-kind combination just like all the others you won't want to miss! Additional thanks to YoYoKenny and GreenMohawk for helping test and poke things with sticks. OPTIFINE USERS - Be sure to use 1.7.10_HD_U_D6. The latest version conflicts with Morph and will cause crashes when creatures are killed.